Kermit the frog said it wasn’t easy being green, but the team at Ram Trucks are proving that it can be done. 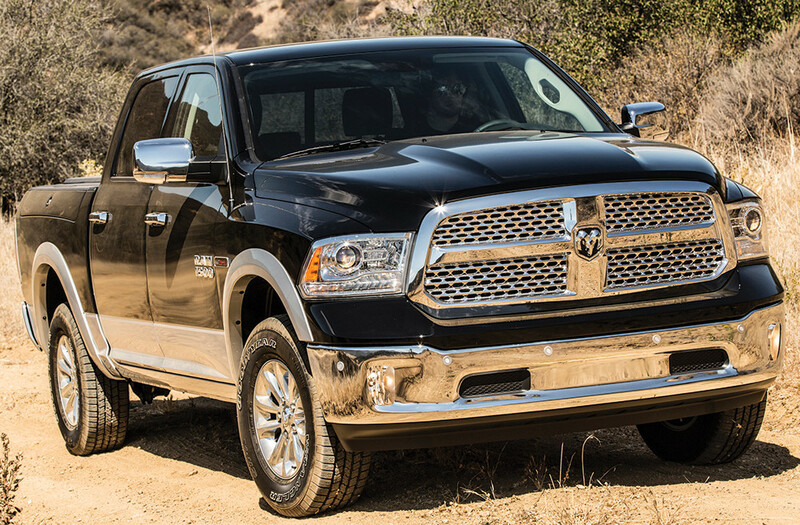 The Ram 1500 EcoDiesel has been named Green Truck of the Year by Green Car Journal at the San Antonio Auto Show. This is the first year that Green Journal has had an award for trucks. The full-size pickup, which has won numerous awards since its introduction as the segment’s only diesel offering, has been instrumental in bringing profits to its Fiat Chrysler parent, as well as single-handedly getting the manufacturers to take a long hard look at bring more diesels to the market. Ram’s competition for the green award this year were the 2015 Chevrolet Colorado and GMC Canyon mid-size trucks (which have already discreetly talked about a diesel version for 2016) and the 2015 Ford F-150. The all-aluminum F-150 is so new that fuel efficiency numbers had not even been released in time for judging. The Ram 1500 is a worthy winner. A winner of both the Motor Trend Truck of the Year and the Truck of Texas last year and the year before, the EcoDiesel engine was also named this year’s Best Power Train by The Texas Autowriters Association. Green Car Journals and a jury of experts weighed the environmental attributes of the competitors, while considering traditional pickup truck values — functionality, versatility, safety, value and style. Fuel efficiency was definitely important and the EcoDiesel is rated by the EPA at 28 mpg, the best engine-cycle test result every achieved by a half-ton pickup. Ram also held the record with Ram 1500 3.6L Pentastar V6 gasoline engine at 25mpg highway. There will be more diesel engines on 1500 level trucks (and mid-size) trucks over the next two years but Ram will still have been first in the industry to embrace this approach. I suspect that, with competition ramping up, Ram will have some surprises in store for lovers of the 1500. It’s share of market has grown dramatically and, where readers used to complain mightily about their older Dodge trucks, I have yet to hear a peep about this new generation of vehicles. And, before you ask, I don’t expect the current drop in gas prices to have much effect on people’s truck choices. Anyone who has been around for a while knows that what comes down must come up and this recent pattern won’t last forever.